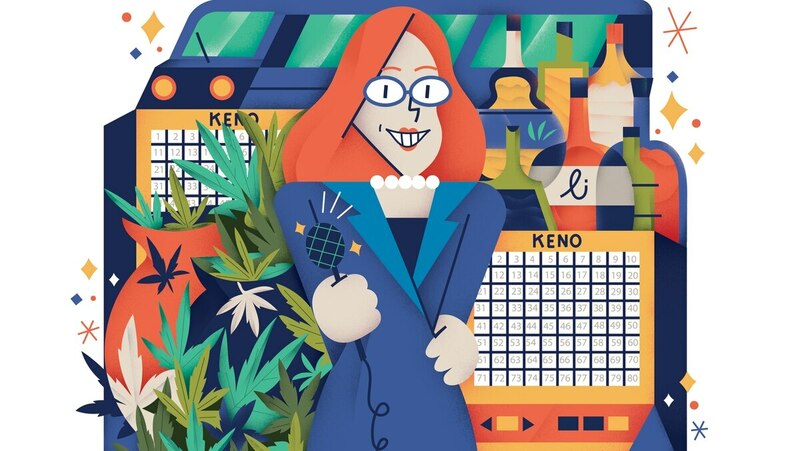 The agencies oversee everything from liquor and cannabis sales to keno machines and Portland’s light-rail system. Late last month, Gov. Kate Brown announced a bold initiative: She plans to sell $5 billion worth of public assets to pay down part of Oregon's $22 billion pension deficit. Without providing specifics, Brown said just about anything except state forests, parks and prisons could be had for the right price. According to sources familiar with the governor's thinking and recent efforts in other states, that could include not only property but as many as four state agencies—overseeing everything from liquor and cannabis sales to keno machines and Portland's light-rail system. It's too early to know how much buyers might pay for Oregon agencies, but based on asset values bandied about elsewhere, it's clear Brown would have to sell such crown jewels to approach $5 billion. The governor's willingness to entertain such ideas is a departure from Democrats' historical preference for focusing on new tax revenue. A review of the experiences of other states, however, shows Brown's attempt will be challenging. "Everybody thinks selling assets is a good idea—until you get to the specifics," says state Sen. Mark Hass (D-Beaverton), chairman of the Senate Revenue Committee. But some key allies are ready to consider radical moves—particularly if they help salvage the retirements of public employees. "We're comfortable with the general idea," says Joe Baessler, political director of the Oregon American Federation of State County and Municipal Employees. "But it has to be a good deal for the state." The issue Brown is trying to address is the $22 billion pension deficit. The state has promised retirees more money than it has to pay them, and the annual cost to state and local governments is escalating, hampering their ability to provide basic services. So Brown is looking for a novel solution. Selling public assets can be political minefield—witness the recent furor that caused the Oregon State Land Board to abort the proposed sale of the Elliott State Forest. But people who've studied Oregon's financial woes say Brown's approach makes sense. 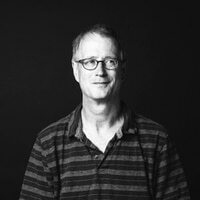 Tim Nesbitt, a former labor leader and adviser to Govs. Ted Kulongoski and John Kitzhaber, says an asset sale is akin to selling a underused piece of land to pay off a mortgage. The agencies Brown might sell all come with big price tags—and political challenges. Brown spokesman Bryan Hockaday deferred comment on any specific assets until a panel provides specific recommendations in November. "Gov. Brown believes addressing the unfunded pension liability is an enormous challenge, but one that we must take on," Hockaday says. "Gov. Brown has given the [PublicEmployees Retirement System] task force, whose members will be announced later this month, broad authority to look at every sizable state asset to use in buying down the PERS unfunded liability." On May 15, however, Oregon Public Broadcasting, citing sources close to Brown, reported that the state-owned workers' compensation insurer, SAIF Corp., and the Oregon Liquor Control Commission could go on the auction block. Neither of those agencies performs a core state function. Many states own neither an insurance company nor a monopoly on all liquor sales within their borders. States that do own workers' compensation insurers, including Colorado and Montana, have considered selling them recently. SAIF would be an attractive asset: It has a large customer base, and its assets exceed its liabilities by $1.6 billion. But sales attempts in other states have stalled because any such change creates winners and losers, and the losers speak loudly. In Pennsylvania, which operates a highly regulated liquor control system similar to Oregon's, lawmakers who have pushed to sell the monopoly to private companies say they could raise more than $1 billion. Again, however, the status quo has proven resilient. Oregon owns other monopolies that some states have either considered selling or sold in part. For instance, the state controls TriMet, a public corporation. The potential value of such an asset lies in the right to provide an exclusive service—mass transit—to a large number of customers. New Jersey and Massachusetts have considered privatizing parts of their transit systems recently—but such efforts have generated opposition, particularly from labor. TriMet's union employees exert enormous power and would oppose a sale of any TriMet functions. "It would cause lots of problems for everybody," says Shirley Block, president of Amalgamated Transit Union Local 757, which represents TriMet employees. "Privatization is wrong, and we've seen that over and over." It's been easier for states to privatize their lotteries, in part because they are less reliant on union labor. Illinois, Indiana and New Jersey have all struck deals in recent years that are structured as one-time payments of about $100 million, with a guaranteed increase in annual net revenue of $50 million to $100 million. The states retained ownership but contracted out most lottery functions. Brown isn't looking at selling the Oregon Department of Transportation. But she could start selling its highways. States such as Indiana have sold highways to private investors for billions of dollars. In exchange, investors get to collect and keep tolls. Many states lease highway rest-stop space to McDonald's, Dunkin' Donuts, 7-Eleven or other contractors. That's now a possibility here, too. Persuading Oregonians to accept private highways or the sale of any valuable asset could take a long time. State Sen. Tim Knopp (R-Bend), who, along with Sen. Betsy Johnson (D-Scappoose), has pushed hardest for the state to address its pension deficit, says time is something Oregon doesn't have. Knopp wants meaningful reductions in pension costs now. "I don't think we can wait," he says. "We need to do something before this session ends." Allen Alley, a former Republican candidate for governor and treasurer who has spent extensive time studying the state's pension liabilities, says Brown's plan won't stop the bleeding, because Oregon governments still guarantee pensioners' future payouts rather than offering a 401k-type plan that shifts risks to workers. "It's political kabuki theater," Alley says of the proposed asset sales. "She's rearranging the deck chairs on the Titanic." Correction: This story originally said the state owns TriMet. In fact, the state does not own TriMet but does control it: The governor appoints its seven-member board and the Legislature authorizes and regulates the payroll tax that is TriMet's largest source of revenue. WW regrets the error.